Welcome to your horse farm in Madison County Virginia. Your gorgeous 44-acre equestrian estate has beautiful pastures and and full facilities for the discerning horseman.. This is a magical property that is lovely in all seasons, with a spring-fed pond, gently rolling hills and mountain views. The home is a stately white brick Federal Style home. On the main floor is your living room, kitchen, dining room, den, office, a 3-season porch, ½ bath, and mud/laundry room. The floors are hardwood and ceramic tile. Upstairs are 3 bedrooms and 2 full baths. A terrace level apartment with its own separate entrance leads to your additional bedroom, full bath, and kitchen…. perfect for your in-laws or guests. REQUEST MORE ABOUT THIS MADISON HORSE FARM OR SCHEDULE A VISITTHE FARM: The majority of the beautiful rolling 44 acres is in pasture and board fenced paddocks. The full horse facilities include multiple barns and run-ins. There is a total of 20 stalls. The stallion barn has 6 stalls, the little barn has 6 foaling/pony stalls, and there are 6 temporary stalls in the 120’ x 45’ indoor arena, which can be removed if someone wants to make it back into an arena. In addition there are 2 isolation stalls on the farm. You’ll appreciate the lush pastures with 9 run-in sheds. The bank barn has storage for 800 bales of hay and a run-in shed underneath. The stallion barn with tongue and groove interior paneling and European wrought iron stall fronts has grain room, a break room with a shower (it was a manager’s apartment), tack room, wash stall, washer/dryer, storage, and a 2nd generator. This property has everything you need for a first class professional equestrian facility. Here is an aerial view of the farm. Click for Google map access. You have a 2-car attached garage, a fenced dog yard, an automatic generator, and the home has cable internet. Also on the property is a single wide trailer on a permanent foundation for a farm worker. Set in the foothills of the mountains, this extensive Central Virginia equestrian estate offers the oasis, peace, and space you and your horses are looking for. Nestled on more than 73 acres of gently rolling land, this horse farm is thoughtfully laid out with your horses’ safety and comfort in mind. This show-stopping horse farm overlooks the countryside from almost every angle, giving you stunning panoramic views wherever you look. The tranquil beauty of this property is inspiring, an ideal setting for the creative mind. This Southern Cross property is well-thought out and planned to cater to your and your horses’ every need. The architect-designed stable provides ample security and an oasis for your horses and equestrian activities. This central aisle barn features aggregate flooring to add traction and prevent slipping, six matted 12’ x 12′ stalls with heated Nelson waterers, tack room with custom cabinets, feed room with stamped concrete floor, wash stall, laundry room, and a half bath. There’s also a small paddock or riding ring, three large paddocks with auto waterers, and maintenance-free vinyl fencing to ensure the protection and shelter for your horses while also giving them enough space to run and exercise. You won’t even have to worry about storage. A 35’ x 26’ detached garage with oversized doors can easily be converted into a hay or equipment storage. This property is not just about horses. There’s a 2.5-acre pond stocked with bass and catfish, perfect for fishing. The pond is also a wildlife haven and home to geese and a blue heron. On this beautiful land, you can enjoy approximately 50 acres of pasture and more than 22 acres of wooded property. If you’ve been craving for peace and space for your horses, this captivating property is truly worthy of your inspection. Perched in the heart of the expansive Central Virginia horse farm is a gorgeous one-story custom home. With three bedrooms and two bathrooms, this home provides ample space, privacy, and convenience. The generously-sized family room is bright and elegant, thanks to its wall of French doors that let in plenty of natural light, offer a gorgeous backdrop of pastoral views, and provide easy access to the Trex deck. How can you miss the gas fireplace flanked by the custom built-in bookcases? The stone surround fireplace is the central focus of this beautiful room and is ready to offer warmth anytime. Venture past the family room and you’ll discover a warm and inviting kitchen. This kitchen will surely thrill your senses. You’ll love its honey-colored tone of the floor blending in with the warmth of the custom oak cabinets. A large island offers plenty of space for the cookies and brownies your loved ones favor. Across the ample-spaced kitchen is a breakfast nook, ideal for early morning coffee and easy afternoon chitchats. For your personal space, this home offers 3 good-sized and well-appointed bedrooms. The master bedroom is the perfect spot to unwind, relax, and recharge. Featuring hardwood floors and neutrally-toned walls, this cozy haven is the best destination after a long day. You also get to enjoy three good-sized closets and a French door leading to the deck. The Trex deck runs the length of the back of the home, providing generous space for entertaining. Set an outdoor barbecue grill and furniture and you have a great setting for fun and relaxation. To top it all, this horse farm in Virginia is in a great location. It is only minutes away from Route 29, just close enough to easily drive to the different cities of Virginia, but far enough to enjoy the country lifestyle you long for. All its amazing amenities and features are yours for $765,000. Excited to start living in this horse farm? 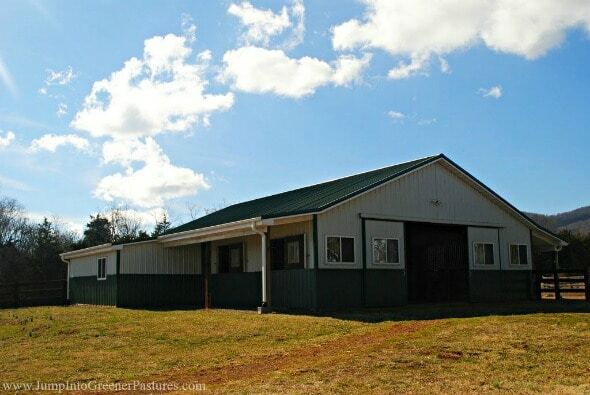 For more information about this listing and other equestrian properties for sale in and around Central Virginia, please visit www.JumpIntoGreenerPastures.com. Horse farms like this are always in high demand, and your earliest showing is advised. 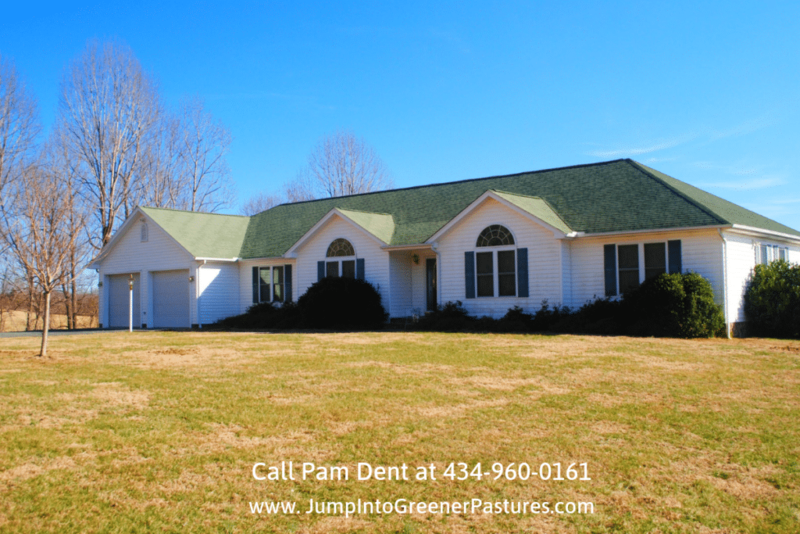 Call me, Pam Dent, at 434-960-0161 to see this exceptional equestrian property for yourself. Are you thinking of possibly selling your Virginia equestrian property? When you’ve thought things over and selling the horse ranch is the best possible solution to the concern or challenge you are facing, then it’s time to commit to that decision. There are many things to consider and a long list of things to prepare. You’ve probably even made a list of things to do, as well as a list of questions to ask your real estate agent. Some questions are easy to ask. Others are more difficult. It can be an awkward question, but it’s something you have to ask. You need to know what sets your real estate agent apart from others. A good agent will have an answer prepared, providing reasons why he or she is best suited to the job. Real estate agents vary in skills and niche. Some excel in selling luxury properties while others do best in selling single family homes. But if you are looking for someone to help you professionally sell a horse farm, you can’t just trust your property to anyone. Not all real estate agents know how to sell an equestrian property. Only someone with the local knowledge knows the intricacies of buying a property with the right soil and features. 2. Who tops your list of most difficult client and how did you handle it? This a common question in the corporate world if you are looking for a job, but if you are hiring the services of a real estate agent, it can be difficult to ask. However, you’ll find the answers interesting and sometimes amusing. More importantly, the answer reflects several personality traits of the real estate agent. Selling a property can be stressful, and when tensions run high, you need to have an idea of how the agent will handle and cope with the situation. You want an agent who is patient and open to communication. If this is your first time to buy a property, you want to learn about the process as much as possible, and you’ll have plenty of questions. Find an agent who will patiently teach and coach you through the selling process without making you feel embarrassed that you have to ask. 3. If you are a buyer, will you be interested in my property? You need the honest opinion of your agent. You may not like the possible answer, but it’s a question you have to ask because you want to see your property through another person’s eyes. 4. What features will help sell this property? Buyers are looking for specific features and amenities when they buy a property, and it depends on what their final plans for the property are. Ultimately, your horse farm for sale in Virginia should offer features they want. It’s always good to be clear and transparent on money matters. You’ll be paying the real estate agent, so you need to know exactly how much to pay for. Real estate agents don’t charge a flat fee. Rather we take a percentage of the property’s selling price as our commission. If you have any concern about the commission, don’t dance around the subject. You need to discuss it directly with your real estate agent. 6. What kind of guarantees do you offer? A question that many sellers forget to ask agents is guarantees. Since you’ll be paying a good amount of money, you should hold the agent to a high standard of service. Find out if the agent offers any guarantee and what those are. Get to know your real estate agent well. Don’t be afraid to ask questions. Your real estate agent has heard many strange questions asked, so he or she can take it. Put your Virginia equestrian property for sale in the hands of the person you truly trust. Do you have any questions on how to sell your horse farm? Call me, Pam Dent, at 434-960-0161 so we can discuss the best ways to market your property. ​In case you can not view this video here, please click the link below to view ​⁇😟What Questions Don’t I Know to Ask When Selling My Virginia Equestrian Property on my YouTube channel: https://www.youtube.com/watch?v=87pe6WjHGEQ&index=19&t=0s&list=PL3hDkaZjN1QDmwHVFNVc9qI8Ip5snCIkz. Indulge in your love of history and horses in this magnificent 184.90 acre Virginia equestrian estate. Edgewood Farms was the first settlement in Campbell County, and this property’s manor has been restored using materials salvaged from the original home. This property in Evington VA features 4 beds, 4 full baths, 2 half baths and 5,938 square feet of living space, more than sufficient space for you and your horses. With its river frontage, 2 ponds, a 13-stall barn, a lighted arena, a barn apartment, a historic guest cottage, a farm office, a pool, beautifully detailed custom millwork and more, this is definitely a must see. Enjoy everything this horse farms offers for $1,995,000. Are you looking for a horse farm? If you’ve been longing for a country escape and would like to raise or train horses, this Shenandoah horse farm for sale is what you’ve been looking for. Standing on an 88.85 acre lot, Creekside Stables is well-planned and has everything that a horse farm could need. It comes with a main barn with 22 stalls, a bank barn with 6 additional stalls, a 20,000 square foot indoor arena, a 30,000 square foot outdoor arena, 3 large pastures, 9 paddocks, auto waterers, hay barn, and 2 large run-in sheds. There’s also a 3 bedroom and 2 bathroom renovated farm house and a 2 bedroom cottage. This property in Virginia has everything you could want in an equestrian estate. 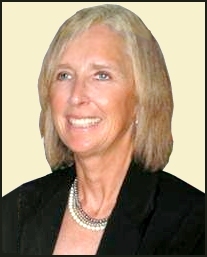 Call me, Pam Dent, at (434) 960-0161 to schedule a showing today. Cedar Lane Farm is now under contract. The remarkable Keswick horse farm went under contract, after only 11 days of being listed! This amazing Virginia horse property will surely bring happiness and fulfillment to its new owners with its peaceful settings, gorgeous mountain views, beautiful home and outstanding equestrian facilities. The property spans over 38 acres of gently rolling land in the lush countryside. The home is meticulously maintained and features 3 bedrooms, and 3 bathrooms in 2,400 square feet of living space. Its open floor plan and 9-foot ceilings enhance the spacious feeling inside the home. The front porch runs the length of the house, perfect for both relaxing and entertaining. There’s also a den, a formal living room, and a large eat-in kitchen with a lot of counter space and fabulous cabinetry. It is definitely a move-in ready home that is sure to please its new owners. The equestrian facilities are just as impressive as the home. It offers a 6 stall center aisle barn, a 75’x190′ sand ring, fenced pastures, a pond, and a huge building for hay/equipment storage. Everything that a horse lover needs is in this Central VA equestrian farm. When a property goes under contract, it means an offer has been given and that the seller has accepted it, but it doesn’t mean that the sale is over. This is the time when all contingencies are secured. If you are the seller, this is the time to ensure the property is inspected, appraised and made ready according to the stipulations the buyer submitted, and that a lawyer has approved the contract. If you’re the buyer, this is the time to finalize your finances. This also means securing home insurance and ensuring that your conditions are met. When things go well and all contingencies are met, the property will then be given a “pending” status. This puts the home on a closer status of being sold. It is basically one step away from closing, the last hurdle in this real estate journey. The final step is the closing, the big day everyone involved has been waiting for. This is it! Whether you’re a seller or a buyer, you’ll be signing a lot of documents. If you’re the buyer, you go home with a key to your new property. If you’re the seller, you go home with the check for the property you sold. Are you buying or selling an equestrian property? Whether it’s a horse farm or a country property in Charlottesville and other nearby areas, you can count on me, Pam Dent, to make the transaction as easy and smooth as possible. Buying or selling a horse farm may sound like a regular real estate transaction, but it’s more. You need someone who knows not just the property features and the size, but someone who has experience with horses. As an equine trainer who has sold hunters and jumpers, I know what you and your horses need in a property. This Keswick equestrian farm is a wonderful property, and the new owners are sure to be thrilled in their new home. You too, can have the horse farm or country property of your dreams. Call me, Pam Dent at (434) 960-0161. Let’s make your real estate dreams come true. Equestrian living at its best! Experience the ultimate equestrian lifestyle in this sprawling 184.90 acres of gently rolling land with stunning long range views. Edgewood Farms holds the distinction of being the first settlement in Campbell County, with the original home built by Col. Jeremiah Early in 1785. Destroyed by a fire, the home was later rebuilt in 1988 using materials recovered from the original home. Today, this Virginia horse farm is a masterpiece retaining the look and feel of the era, standing strong and graceful, a treasure of impeccable craftsmanship and architectural details. Featuring 4 beds, 4 full baths, 2 half baths and 5,938 square feet of living space, this spacious country home offers a private oasis for you and your horses. Meticulously constructed and well maintained, many of the doors and mantels are original, and much of the brick as well. The cabinets and floors are walnut timbered from the property. If you’ve been looking for a horse farm to turn into an equestrian training center, a horse boarding facility or a place where you can raise horses, this could be the property for you. Set a few minutes away from the main road, a lovely tree lined drive leads to the manor house. Your drive home can’t get more picturesque than this! An exquisite brick home with landscaped grounds welcomes you to the property. Stunning architectural details abound in the interior of this luxury home. You’ll find amazing custom millwork wherever you look, be it the stairs, the fireplaces, and even the ceiling! Hardwood floors on all over the main level except the kitchen and dining area enhance the already elegant appeal of this home. This stately country home offers several living spaces. There’s a large home office, a graciously-spaced living room, a formal dining room and a cozy and inviting family room with wood paneling, a fireplace and built-ins, all picture-perfect and great spots to entertain and relax. The kitchen is huge and has a lot of counter space and beautiful cabinetry. There is a space for a breakfast nook beside the kitchen, by the large windows, so you can enjoy the scenic countryside views while dining. All four bedrooms are large and well-appointed and two even have sitting areas. The master bedroom is graciously spaced and features its own fireplace and a wall of closets. The master bath has a large tiled walk-in shower with glass door. There’s also a garden tub for luxurious bubble baths, perfect for a relaxing soak at the end of the day. Even the breezeway which connects this home with the two car garage is gorgeous, and we haven’t even talked about the rest of the property! More features and surprises await you in this horse farm. Everything about this Virginia Estate radiates beauty and serenity. The yards and grounds are landscaped and have mature plantings and many garden nooks. It is the perfect setting for relaxing and entertaining. For your guests, there is a historic one-room schoolhouse that was moved to the property and transformed into a charming cottage. With its large living space, ample-sized full kitchen and one bedroom, your guests will be comfortable and happy. A deck of this home offers great pasture views, the best view to wake up to in the morning and drift off to sleep at night. Behind the cottage is a beautiful pool your guests can enjoy while soaking in the views of this stunning property. Aside from this historical guest cottage, there’s also a smokehouse that has been repurposed as a farm office. There’s also a stable apartment attached to a 13-stall central barn. This apartment has a private entrance or can be accessed from the lounge downstairs. This one-bedroom stable apartment has a large lounge with fireplaces on both ends. It is a perfect place for your staff to stay so they can easily take care of the horses’ needs. The central-aisle stable has stalls which extend to either side of the apartment. There is a large work area in between the two center aisle sections. This stable allows you to seal a section in cases of quarantine or if you have stallions. If you plan to use this property as a boarding facility, having large sections means you can separate the borders from your private horses. There’s also a washroom and a tack room for convenience. With its spacious interior, your horses will have a safe and secure place in this structure. Just behind the stable is a paddock, conveniently located so your horses can exercise. There is a total of 45 fenced acres and fields for your horses. The riding ring is located on top of a small hill for drainage. This property has two ponds, and frontage on the Big Otter River, perfect for fishing and canoeing. There’s also a smaller stable, a pasture, and a run-in shed, a workshop for your tools and equipment, hay barn and a machinery shed. This equestrian estate has 45 acres of fenced pasture, 40 acres of loblolly pines, 30 acres of rich bottom land, 40 acres subdivided into six lots with the possibility of five more and the rest of the land is in hay fields. You can even build another custom home on the flat land with views of the Peaks of Otter. This captivating Virginia equestrian estate has everything you and your horses need! Make it yours for $1,995,000. Don’t miss this stunning property! Call me, Pam Dent, at (434) 960-0161 to schedule a visit to see for yourself the amazing features and amenities this property offers. Tucked at the end of a private country road is Creekside Stables, a more than 88 acre horse farm that comes with the desired features of a first class professional or private equestrian facility. Surrounded by mountain views and rolling hills, this property is an ideal location as a horse boarding facility, a show barn or an equestrian training operation. It is currently being run as a successful boarding, training business. Well-maintained and properly secured, it has everything you and your horses need. If you are looking for a turnkey Virginia horse farm, this could be the property for you! Creekside Stables comes with a beautifully-built 22 stall barn. The 22 stalls are constructed of tongue and groove for easy reconfiguration to make foaling stalls if needed. This gives you and your horses more than sufficient space for shelter and to have all the equipment your horses need for comfort, safety and security. Aside from the 22 matted stalls, this barn comes with four grooming stalls, a wash stall with hot and cold water and heat lamp, an office with AC and heat, a climate controlled tack room, and feed room. There’s also a 200’ x 100’ lighted indoor arena so you have a chance to exercise and train the horses anytime, regardless of the weather. With a footing of sand and masonry dust over a gravel dust base, this 20,000 square foot indoor arena has room for a course of jumps and an enclosed viewing area. This arena helps you keep the horses in shape and if you have students, they can continue to ride and improve by training indoors no matter what the weather is. A 30,000 square foot outdoor arena is also provided with a mixture of sand and gravel dust footing. Training the horses becomes easy and enjoyable. Three large pastures and nine paddocks allow horses to graze and enjoy the natural environment. A large bank barn provides plenty of space for hay storage as well as six additional stalls on its lower level. Plus there are two large run-in sheds, auto waterers, a field containing cross country jumps, and 12 acres of trails in the woods. A 2 bedroom cottage offers housing for employees completes the features of this Shenandoah Valley horse farm. This expansive horse farm comes with a 2 story, 3 bedroom, 2 bathroom home that has been lovingly-cared for and well-maintained. Renovated and upgraded, it delivers the charm and character of a farmhouse and the conveniences of a modern residence. Be welcomed by an inviting covered front porch, perfect for gazing over the vast lush land surrounding this farmhouse. Hardwood floor extends throughout the main level, from the large living room to the beautiful kitchen and dining area. Next to the living room is a fabulous country kitchen with tile counters, wood cabinets, a large island and stainless steel appliances, all fit for a chef. A dining area is set to the side, beside a large window. The easy flow of this home’s floor plan makes entertaining and gathering easy and convenient. Enjoy wonderful occasions with your friends and loved ones in this fantastic kitchen. From this kitchen, you have a wonderful view of the land where you can see the horses grazing, as well as the mountains beyond. Off the kitchen is a deck that gives an unhindered view of what you can see from inside the home. A beautiful merge of green and blue as far as the eye can see is your view every morning as you sip your morning coffee. Amazing views are yours to enjoy everywhere you look from this property. You can even see Massanutten Mountain in the background. This real estate property has so many features to offer. In addition to the two homes and horse farm structures, there’s also two storage sheds and a detached one car garage. The 88.85 acres offer more than enough space for you and your horses. Then there’s the endless scenic views wherever you turn. On top of that, this farm is within proximity to two colleges, Harrisonburg VA and I-81. Whether you are a looking for a place to raise horseS or seeking for a place to train them, you will find all that you need in this Shenandoah Valley horse farm. This property is a complete package, yours for $995,000. Call me, Pam Dent, at (434) 960-0161. I specialize in horse farms here in Central Virginia. Let me help you find the horse farm of your dreams. Luxurious country home with all the amenities set on 12+ private acres. Nothing has been spared in the construction of this amazing home. The foyer leads into the dramatic Great Room graced by a gorgeous Crystal Chandelier. The gourmet kitchen features a Thermador Professional range. The enormous master offers a sitting area and his and her baths. Enjoy the park-like grounds with a pool overlooking a scenic pond! Here’s your opportunity to own a beautiful turnkey equestrian farm in the desirable Keswick horse country of Albemarle County VA. Located down a peaceful cedar-lined country road, Cedar Lane Farm takes advantage of the gorgeous mountain views across the street. The property has 38+/- acres which includes pastures and a pond plus the home and equestrian facilities. This property will delight the serious equestrian. It offers a 6 stall center aisle barn, a 75’x190′ sand ring, fenced pastures, pond, and a huge building for hay/equipment storage. The 3 bedroom 3 bath home is meticulously maintained and it exudes comfort and charm. The home consists of 2400 finished sq ft. and the 9-foot ceilings add a spacious feeling to the open floor plan. A popular feature is the first floor master bedroom suite; upstairs there are 2 more bedrooms and a full bath. There’s an additional 400 sq ft upstairs that also could be finished. You have even more storage possibilities with a full unfinished basement and your 2-car garage. You’ll have plenty of options to relax in privacy…. a den, a sunroom, your spacious master bedroom, a comfortable living room, or your porch with mountain views.